Florence, OR - The Florence Regional Arts Alliance (FRAA) is very excited to invite artists to participate in the 2019 FlorenceFest. To submit an entry, please go to www.callforentry.org. There is $35 entry fee. Art selection for the exhibit will be made by Karin Clarke. For the past sixteen years Karin has owned and directed the Karin Clarke Gallery in downtown Eugene. Karin serves regularly as an art juror and on art selection committees in our region, including Art About Agriculture, All Around Oregon Annual and The Eugene Biennial. A People’s Choice selection, which will be awarded based on votes of those in attendance. Selected Artists may continue to exhibit their work at the Florence Events Center in Galleries 1 and 5 through the end of May. THE DEADLINE FOR ENTRIES IS FEBRUARY 24, 2019. 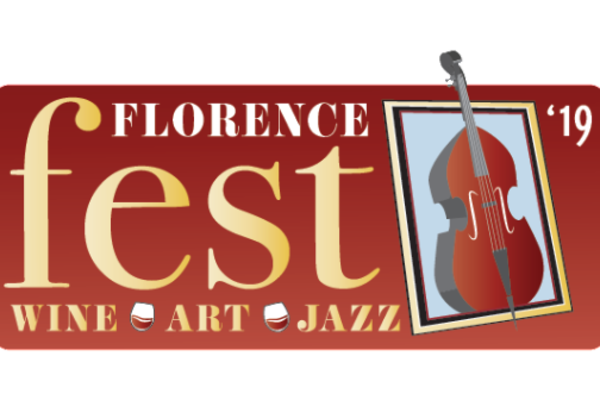 Held at the Florence Events Center on April 26 and 27, 2019, FlorenceFest features two days of Jazz, Art and Wine. Breathtaking art, talented jazz musicians and outstanding wine from throughout the state are featured daily.